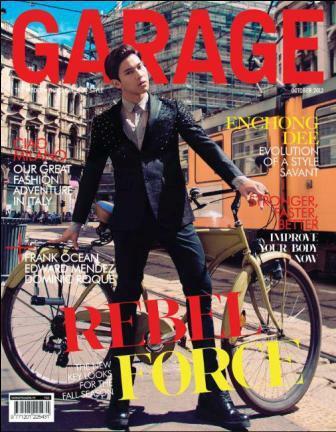 Enchong Dee on the "Rebel Force" Issue of Garage Magazine! Kapamilya young actor Enchong Dee graces the October 2012 issue of Garage Magazine. In the said cover, Enchong is holding a bicycle depicting this month's magazine feature called "Rebel Force." Enchong is currently leading the newest ABS-CBN TV series "Ina, Kapatid, Anak" pairing him to Maja Salvador.